Mr. Knox is President of Plancorp, Inc. and Financial Management Strategies, Inc., a Registered Investment Adviser, and he also is a Branch Manager for Cetera Advisor Networks LLC, a broker/dealer, and a registered investment adviser. He has over thirty years experience working with individuals and closely held businesses in the insurance, employee benefit, financial and investment planning areas. In addition to working with his clients, Mr. Knox oversees the daily operation of the company's Advisors and staff. Jeff is a graduate of Ohio Wesleyan University and received his J.D. from Cleveland State University Cleveland-Marshall College of Law. He has also earned the Chartered Life Underwriter® (CLU®) and Chartered Financial Consultant® (ChFC®) designations from The American College. 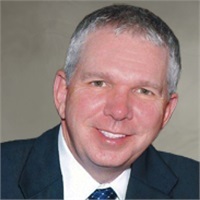 Jeff is licensed to sell life and health insurance as well as annuities in the State of Ohio, and is a Registered Representative (Series 7), Investment Adviser Representative, and Registered Principal (Series 24, 51) through Cetera Advisor Networks LLC. He is also an Investment Adviser Representative of Financial Management Strategies, Inc.
Jeff is a member of the National Association of Insurance and Financial Advisors (NAIFA), Million Dollar Round Table (MDRT) and Society of Financial Service Professionals (SFSP), Estate Planning Council (EPC) of Cleveland as well as the Ohio Bar Association. He is a former member of the General Agents Advisory Council for GenAmerica Financial, a MetLife affiliate.